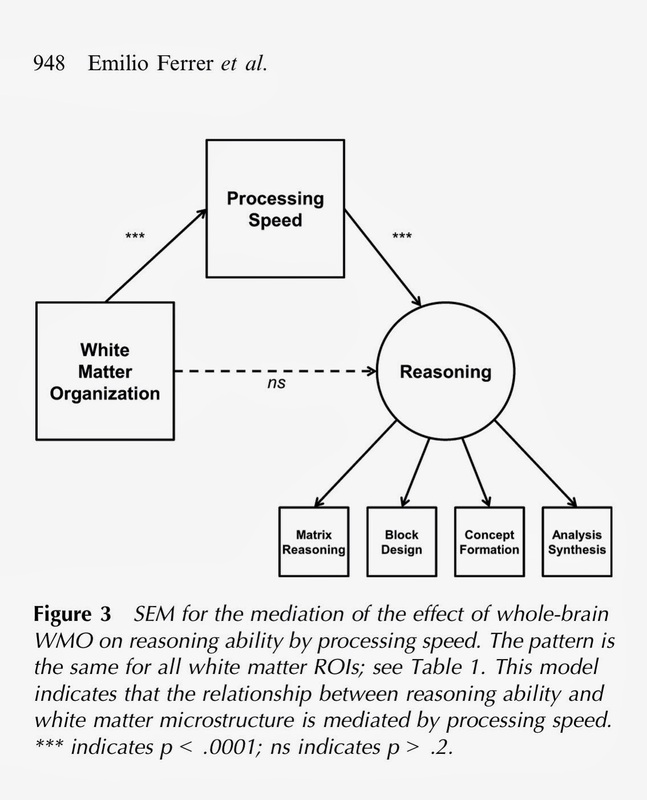 Interesting study that gets at the previously demonstrated causal relation between processing speed (Gs) and fluid reasoning (Gf), with the causal mechanism suggested to be white matter tract organization/integrity. 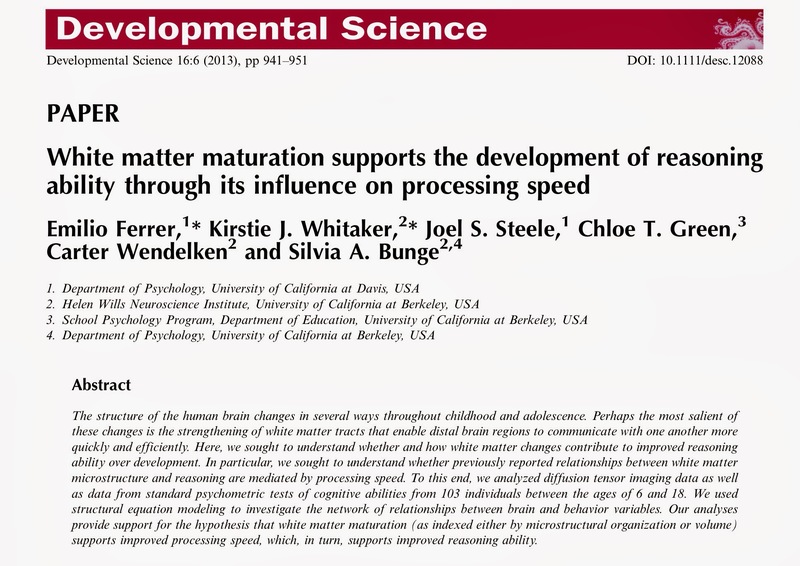 I find this study interesting as it is consistent with a white paper I have writtten that implicates white matter integrity and cognitive functioninng (g an Gf). 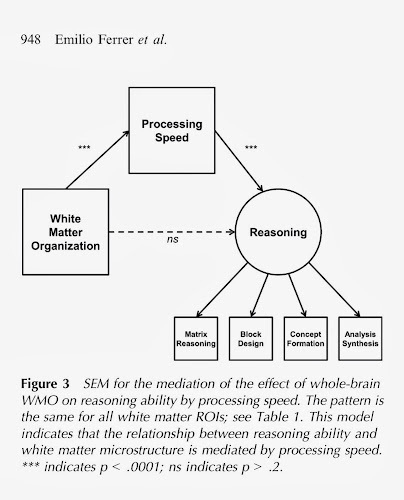 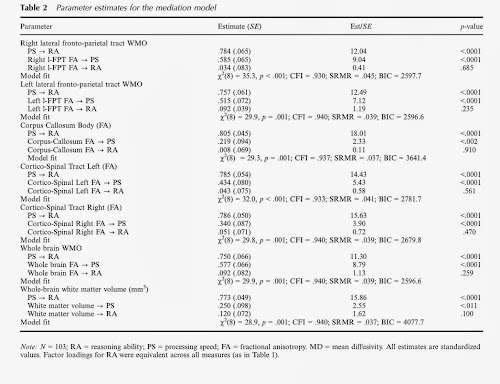 It is my working hypothesis that those brain training programs that demonstrate effectivness may be modifying underlying white matter tract integrity....and thus better brain network communication....especially the executive control and salience networks involved in the attentional control system, and thus working memory capacity. 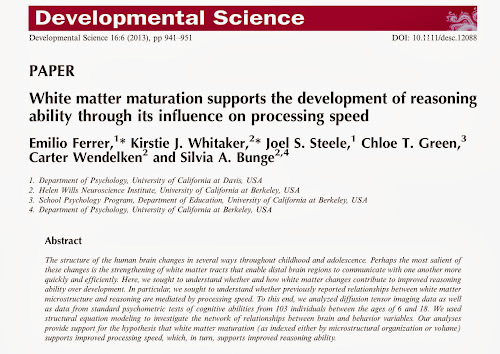 Remember...this is a "working paper"....it can be downloaded here.